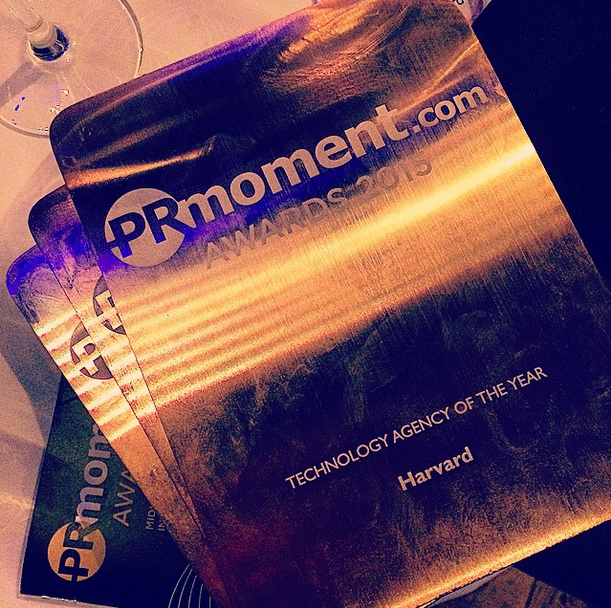 It was a clean sweep for Harvard at the PRmoment Awards last night, where we scooped three gongs. We fought off stiff competition in three categories: Technology Agency of the Year, B2B Agency of the Year and B2B Campaign of the Year for our work with Fujitsu on the DataGeddon campaign. This follows our SABRE and PRCA award wins last year, and is testament to the hard work of each and every member of the Harvard team. Over the past four years we’ve doubled in size, won some truly game-changing new clients and continued to deliver exciting and creative campaigns for existing ones. Huge thanks to the PRmoment judges, and congratulations to the other award winners. We’re proud to be in such good company.